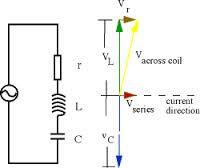 Basic purpose of this article is to Discuss on Alternating Current Circuits. Alternating Current Circuits and voltages are generally sinusoidal and vary after a while. Alternating currents produce different responses in resistors, capacitors, and also inductors than direct currents complete. Here also discuss on Alternating currents and voltages, Resistor-capacitor circuits, Resistor-inductance circuits and Reactance.